Auvents & Abris d’Aujourd’hui is celebrating its 30th anniversary this year in the area of ​​awning manufacturing. 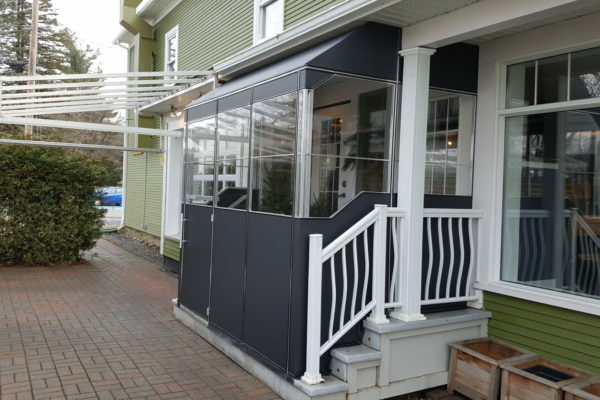 Michel Nadeau began making canopies in 1988 and added many special projects during his 30 years. 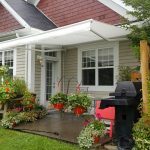 The team is made up of competent people as well because they all have more than 10 years of experience in the manufacture of awnings. The plant is located at 41 rue Grégoire in Bromont corner road 139 at 7 km from exit 68 direction Cowansville. Auvents & Abris d’Aujourd’hui is the only manufacturer in the region to manufacture from A to Z for the public. 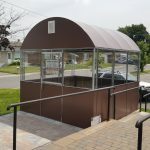 Everything is manufactured directly at our factory, be it retractable awnings, stationary awnings, window awnings, bell, canopy, mosquito curtains, motorized screens, vinyl curtains, entrance shelters, garden sheds, smoking shelters, special projects , lettering etc. Auvents & Abris d’Aujourd’hui sells, manufactures, installs. 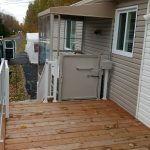 By going directly through the manufacturer such as Auvents & Abris d’Aujourd’hui you get a better price, quality and service because there is no intermediary. Our motto is always durability, careful manufacturing, attention to detail and customer satisfaction. Many products are offered: Bat, Rainier, Mitjavila, Solto etc. Sunbrella, Dickson, Ultrasol, Tibelly fabrics with its 10-year limited warranty by the manufacturer. Several other fabrics such as Ferrari, Soltis, Precontraint 582, Precontraint 502 Satin, Patio 500, Vinagard, Vinachrome etc. with each their guarantee. 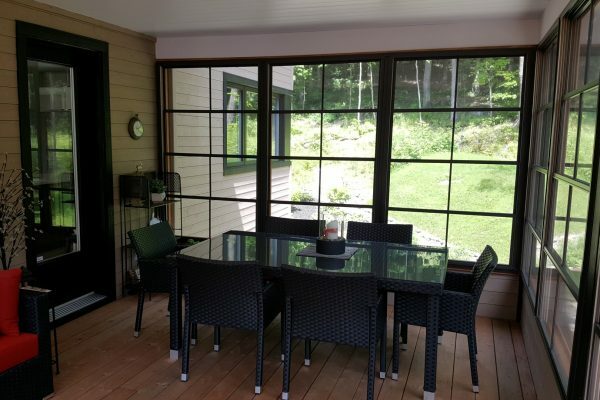 We also offer repair service, install your canvas in the spring and remove them in the fall and storage of them. 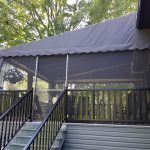 If necessary, we offer a cleaning service to keep your awnings longer; this includes washing and waterproofing your awning. 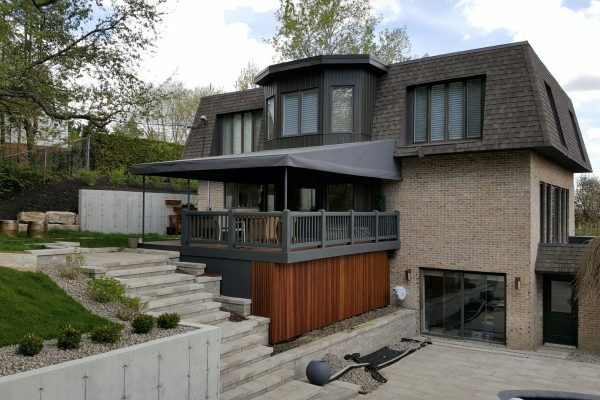 A detour into our showroom to see all our products will give you the taste to beautify and give value to your property while protecting you from the sun and the weather. Sheltered from the weather throughout the year. You can add curtains, mosquito nets or both according to your choice. 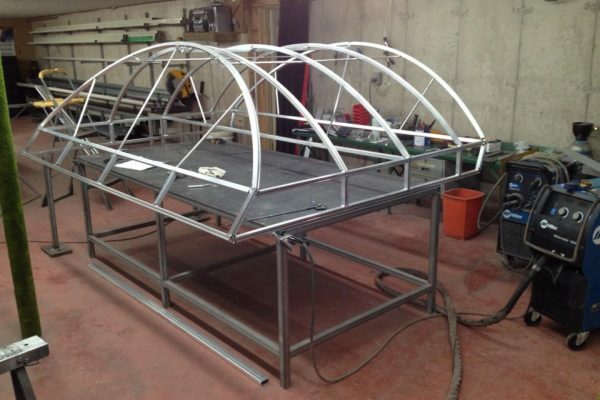 Made to measure, the roof alone or with an addition of panels or curtains. 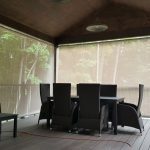 Acrylic fabric curtain for privacy, vinyl, or a combination of both. Fixed, sliding or motorized mosquito net. Come meet us for your projects. 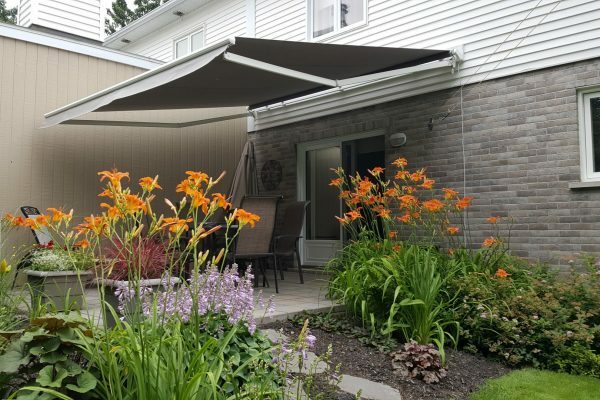 Install your awning fabric in the spring and remove it in the fall with storage during the winter. 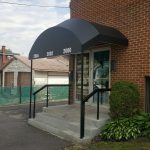 Need a lettering on your awning? Civic number, the name of your business, color logo … etc.